These very simple but elegant earrings are made as hoops and are for pierced ears. The edges of the front of each hoop are claw set with small round diamonds with small baguette diamonds set lengthways between the two edges. The back of the hoops are polished 18ct white gold. 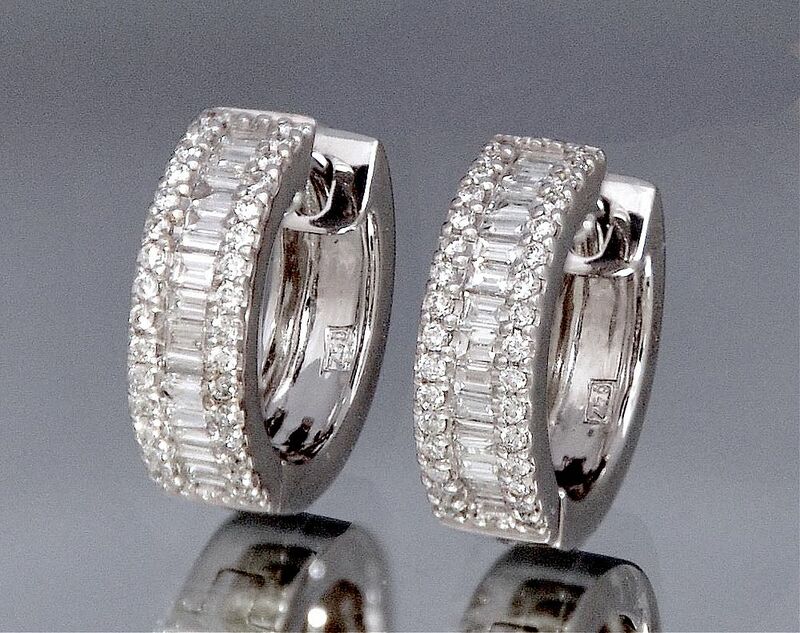 The earrings are hinged at the bottom and both are marked "750" for 18ct gold.